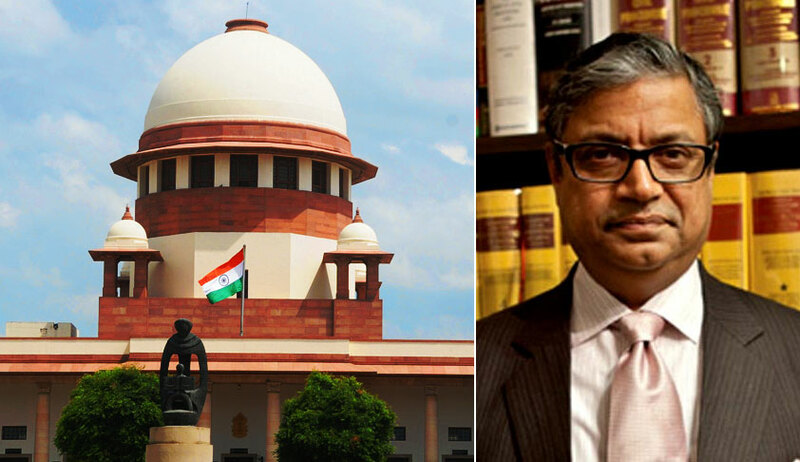 On Wednesday, Senior Counsel Gopal Subramanium resumed his submissions on behalf of the petitioners before the Supreme Court five-judge Constitutional bench in the string of writ petitions challenging the constitutionality of the Aadhaar (Targeted Deliveries of Financial and Other Subsidies, Benefits and Services) Act of 2016. He invited the bench to link the judgment in Jeeja Ghosh v. UOI (2016) on human dignity and the judgment in Subramanian Swamy v. UOI on the right to reputation with the judgment of the nine-judge bench of the Supreme Court in Justice K. S. Puttaswamy. “An Individual cannot be the point of convergence; that poses a danger to the state as well as the individual”, advanced Mr. Subramanium. Referring to the judgment of the apex court in Sheela Barse, he submitted, “The judgment is the most important contribution of the Supreme Court to Article 21. Mentally ill persons were being placed in prisons. By the intervention of this court, a brand new hospital came has been established for their treatment”. “Article 13 accords primacy to Fundamental Rights. It acts as an injunction against the legislative and executive arms of the State in the enactment of a law or adoption of a policy decision”, he continued. “Can the State look at the entire society as specie? The Aadhaar Act has an element of objectification of individuals. The Chief Justice had inquired if it makes a person ‘unperson’. ‘ I would say it ‘ de-personises’ a person”, he remarked. Dealing with the principles for determining the validity of state action, he advanced, “One, rationality; two, proportionality; and compatibility with domestic law, that is, Articles 14, 19 and 21 of the Constitution”. “We have incorporated the ICCPR and the UDHR in our Constitution...the Fundamental Rights have to be afforded an expansive interpretation”, he remarked. “If photographs, iris scan and fingerprints are valuable data, their retention is unconstitutional”, he continued. In response to a query by Justice A. K. Sikri, he submitted, “After the amendment of the Citizenship Act of 1955 in 2003, it was contemplated that citizens in the border areas should be given a smart card or chip for the purpose of establishing identity so that they are not mistaken to be of another nationality. But the idea even behind that was not retention of data”. “A mode of identification must pass the tests of being capable of compliance, least invasive and for which the consent should be natural. But who can think of children being subject to identification for mid-day meals? That a baby should be put on the map before a birth certificate is issued?”, he continued. “If one commits a crime, can he say cannot be arrested? There must apriori basis”, submitted Mr. Subramanium. Referring to the Vyapam scam, he advanced, “The scam happened because of the fiddling with computers. So accountability to the State is important. But the State must also respect the dignity of an individual under Article 14”. He remarked that the power of the District Magistrates to administer the 139 notifications issued by the government authorities under section 7 of the Act of 2016 has been ignored. “To impute that it is the poorest of the poor who have misused the existing proofs of ID is incorrect”, he exclaimed. “Let us say that the ‘poorest of the poor’ were the target and it was the intermediaries who siphoned off the Benefits by way of ghost ID cards”, intervened Justice Sikri. Relying on the portion of the judgment wherein it has been observed that “Socio-economic entitlements must yield true benefits to those for whom they are intended...Opacity ensures to the benefit of those who monopolize scarce economic resources”, he submitted that ‘opacity versus rationality’ is one of the limbs of Article 14.. He also drew the attention of the bench to the paragraphs of the judgment noting that privacy is not a privilege, that substantive and procedural reasonableness and consistency with the norms of fairness is indispensable for any law that seeks to deprive one of the rights under Article 21 and the significance of judicial review. “There are two types of algorithms- deterministic, like ATM card, and live algorithms. Under the Aadhaar project, there is no consistency as to when Authentication will be demanded and in what manner”, he continued. “The onus of identification is on the State and not the individual”, he summed up. Mentioning the discussion in the Justice K. S. Puttaswamy judgment regarding the doctrine of autonomy, he advanced, “The Aadhaar act entrenches on choice”. Referring to the discussion in the 2017 judgment on the doctrine of self actualisation in context of Maslow’s pyramid of values, he submitted, “The German Constitutional Federal Court has held in the Microcensus (1969) and Census (1983) decisions that aggregation of data violates self actualisation, that is, the right to personality”. Quoting Justice Rohinton Nariman in the 2015 case of Shreya Singhal wherein section 66A of the Information Technology Act of 2000 was struck down, he stated, “Governments can come and go; but the law remains”. He also indicated the spirit of ‘deliberative reflectionism’ in Justice Chandrachud’s opinion in the 2017 privacy judgment. On Justice D. Y. Chandrachud’s remark regarding the reasonableness of expectation in context of the privacy judgment, Mr. Subramanium read out the paragraph of the judgment dealing with the three fold requirements of a legitimate state interest in imposing restraints on privacy- “There must be existence of a law; the statute must encompass a reasonable objective; and the means to achieve the object must also be reasonable”, he elaborated.